Romania is the largest country on the Balkan Peninsula, having a geographically strategic location on the Black Sea. The country has seen numerous empires rise and fall from the Romans and the Ottomans to the mighty Austro-Hungarian Empire. According to the Global Peace Index 2016, Romania had an overall ranking of No. 31 and was No. 21 in the regional ranking, indicating that the country has seen a slight decline from the year before in which it was No. 26 in the overall ranking. Romania developed at a slower pace as compared to the other former communist countries of Eastern Europe due to the fact that the Communists dominated politics until 1996 and the country did not join the EU until 2007. Even after the change, Romania suffered economic instability during the global financial crisis of 2008, which led to street rallies and protests against the government. Since then, the country has recovered slowly but steadily. On 30 May 2017, at the 4th Annual Commemoration of the Declaration of World Peace, Romanian citizens gathered to participate in the event in Cluj-Napoca, the second most populous city in Romania after the capital city of Bucharest. The commemoration kicked off with participants watching a video which depicted ongoing conflicts, as well as violent extremism and its atrocities. 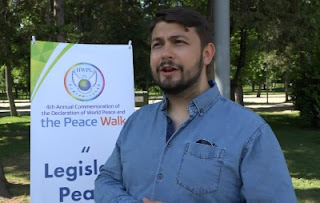 Participants then learned about HWPL’s peace activities and its achievements in Romania since the HWPL Peace Delegation has visited the country several times to hold educational seminars and press conferences related to peace. 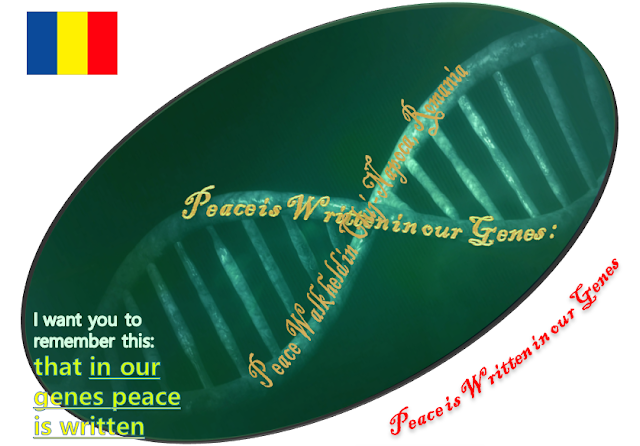 “I am proud to be a Romanian as from its origin this people had a vision for peace. This may not be written on a stone or anywhere, but if you look in our history you will see it. Always we desired to be together and to unite with the ones who are like us to be complete and we never started wars against other people. 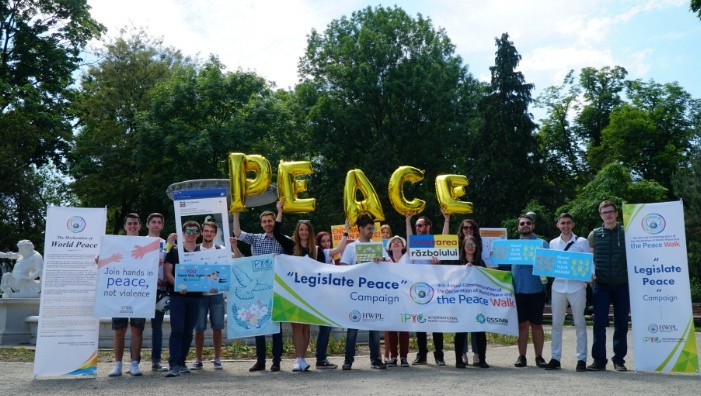 After the official event, youth and other participants went out to the Cluj-Napoca Central Park and walked together to raise awareness of the need for bringing about positive change and energy in their community. They greeted people passing by and many joined them to march for peace. “I would say we who are right here, in this room, today, we are fortunate enough to have roofs over our heads, food to put on the table every day, clothes to wear and possibilities to study and work. The commemorative event in Romania was guided by the spirit embedded in the Declaration of World Peace proclaimed in 2013 with 300,000 world youth gathered at the Seoul Olympic Peace Gate, gathering their hearts and spirits and calling on all youth to truly enjoy their right to peace. HWPL will continue to promote a culture of peace and conflict transformation by peaceful means through its projects and campaigns in Romania, along with the great involvement of the Romanian youth and local citizens especially.